Burns Night in the Laverton. 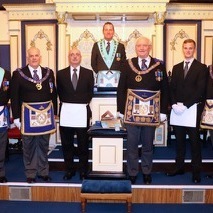 Meeting at The Masonic Hall, Warminster Road, Westbury, Wiltshire. 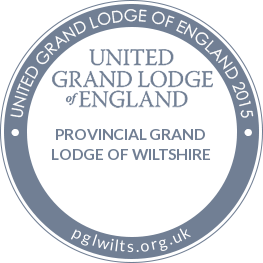 At the Regular Meeting February 2019, The Right Worshipful Provincial Grand Master for Wiltshire RW Bro Philip Bullock accompanied by his Deputy and Assistant Provincial Grand Masters attended the White Horse Lodge. During the evening, RW Bro Philip Bullock presented Bro Alexei Romanov with his Grand Lodge Certificate. 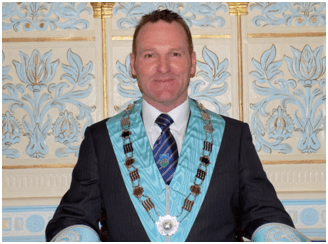 That didn’t finish the most pleasurable evening for during the Second Rising, The Provincial Grand Master announced to the members that WBro Richard Wright was to be appointed and Invested as Provincial Junior Grand Warden at theOctober meeting of Provincial Grand Lodge. The smiles on the faces of the Brethren in pic (R) says it all. 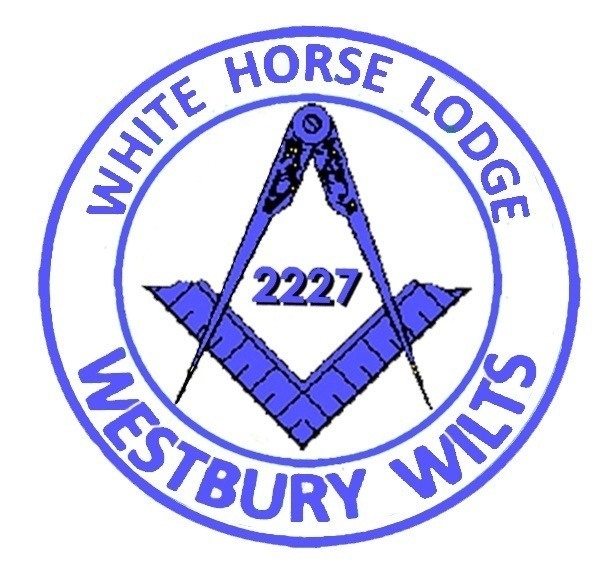 On the 5th March 2019, The White Horse Lodge held an Emergency Meeting where we were again honoured by the presence of The Provincial Grand Master for Wiltshire RW Bro Philip Bullock. The evening was dedicated to the Initiation of Bro Robert Hall. His Initiation was witnessed and supported by a number of serving members and ex members of the Royal Military Police of which Bro Hall was a former member. Bro Hall is the fifth Initiate this year into the White Horse Lodge. 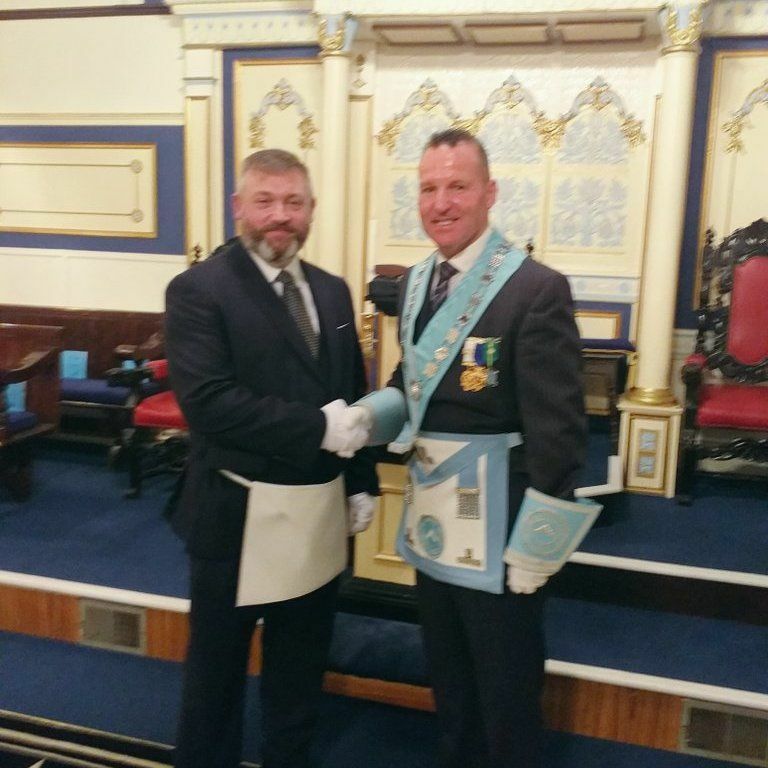 Alex Laird has been Installed as the Worshipful Master of White Horse Lodge No.2227. for a second term of office. 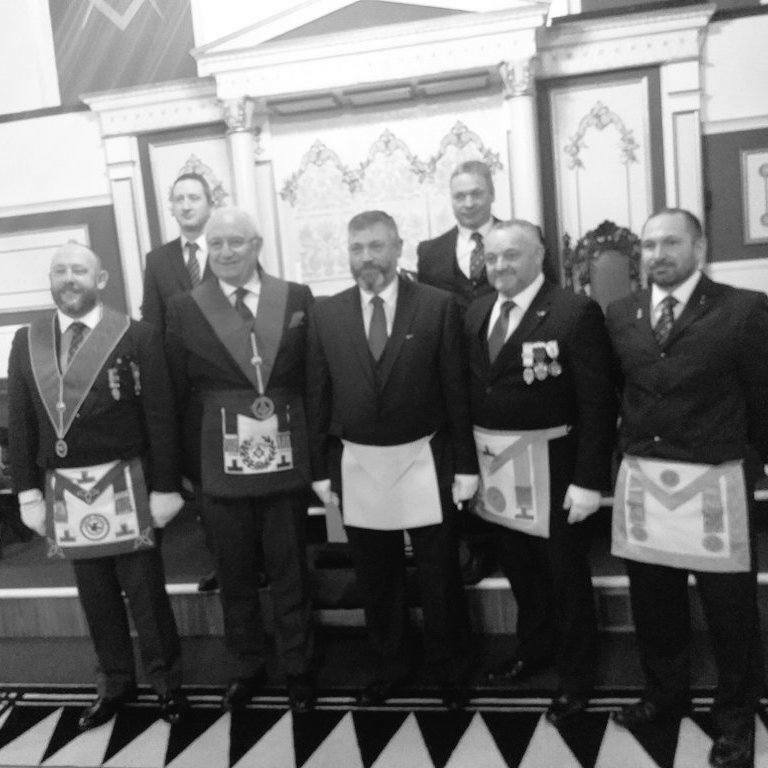 The Installation ceremony was presided over by the Deputy Provincial Grand Master who was accompanied by the newly appointed Provincial Team. During the evening’s proceedings, Bro Laird presented a cheque for £2,845 which was the result of the Master’s Charity for the year, to the Provincial Junior Grand Warden WBro Dr David Reed (a trustee) of The Loganberry Trust. The final surprise of the evening came when Bros Derek Dove and Richard Wright asked the Worshipful Master to receive on behalf of the lodge an oak presentation casket containing the Installed Masters’ Working Tools. Bro Laird now looks forward to another very busy and we know very successful year as Worshipful Master. The Lodge Banner has its Arms etc. mounted on a Garter Blue background and has a border of one and a quarter inches. The banner is surmounted by a ‘scroll unfurled’ on which the name of the Lodge and its number are recorded.  Beneath this is a white horse ‘passive alert’ standing on a green turf. 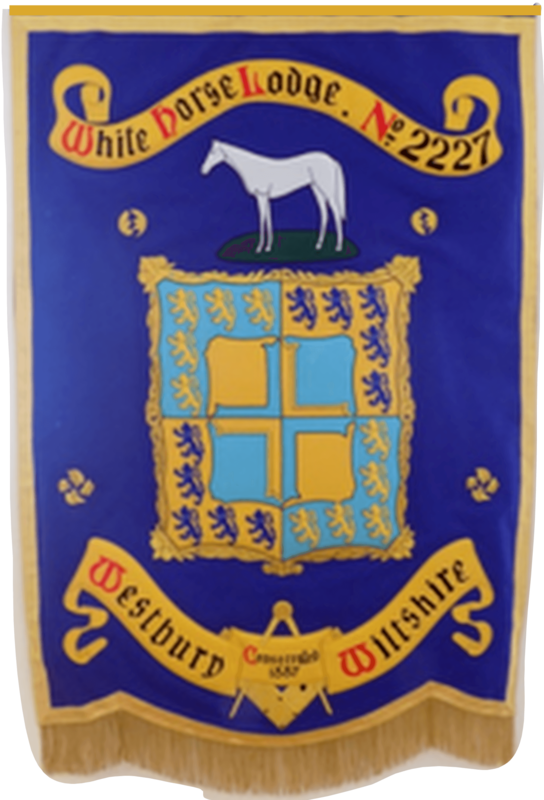 This reflects the White Horse of Westbury which faces ‘counter changed’ – (to the left) the old banner horse faces to the right. In each quadrant of the banner are depicted rounds. These were originally believed to be rose buds but on closer examination it is now believed they were two grains of corn and two pomegranate seeds the new banner reflect these in a slightly different aspect. But both are significant to the Second Degree. The Coat of Arms in the centre, reflect those of the town of Westbury. Their Arms are depicted on an ‘escutcheon or shield’. 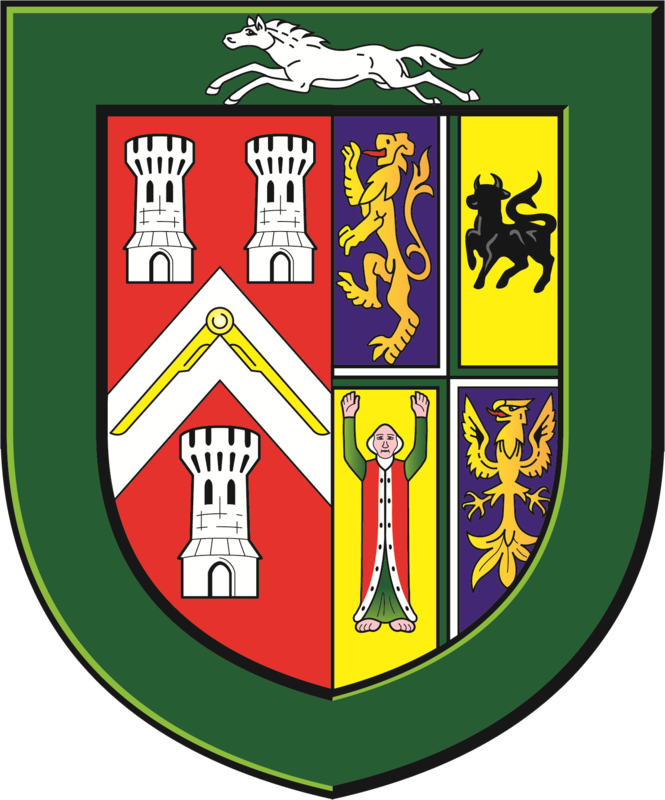 The Arms were granted to the Westbury Urban District Council under the Local Government Act 1894 and it was approved by the College of Arms when it was found that the Paveley family (which held the ‘Lordship of the Manor of Westbury), had died out several years previously from which permission would have been needed. The Arms is a ‘Quarterly Or’ and ‘Agure’, a ‘cross patonce’ in gold and blue within a ‘bordure charged with twenty lioncels rampant all counter changed’. The ‘escutcheon’ of the Arms on our banner has been replaced by a rectangular ‘emblazon’ surrounded by a gold ‘scrolled border’ with a ‘Fleur de Lys’ in each corner. Beneath the Arms is another ‘scroll unfurled’ on which is inscribed Westbury and Wiltshire, not ‘Wilts’ which the old banner does. The lower section of this scroll bears the year of the Lodge’s Consecration not when the banner was dedicated and this scroll is supported in the rear by the Square and Compasses. At the bottom of the Banner is a gold fringe scallop. The two cords either side of the banner are seventeen and a half inches long both having a scaled significance to the Second Degree. The Banner is a very generous gift from one of our members.